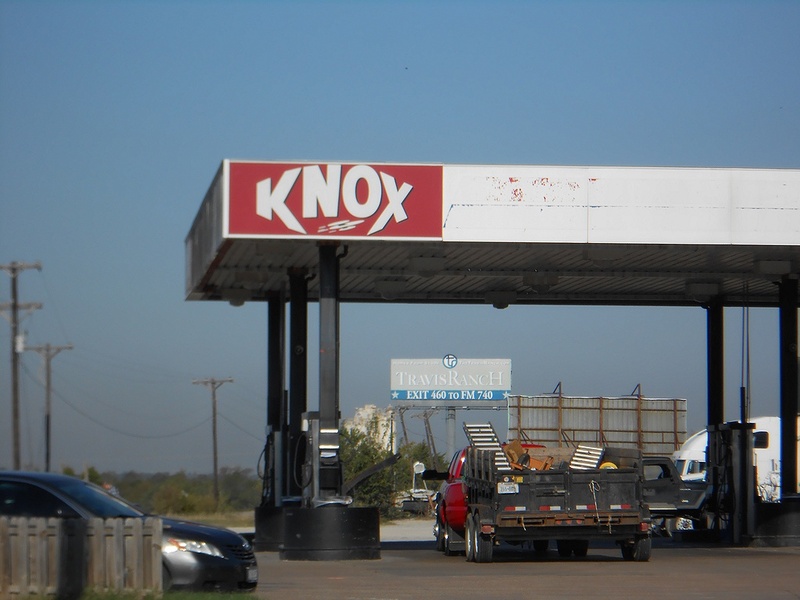 Knox Fuel Stop just south of Lancaster, Texas on I-35E. There are several of these in Texas. Photo taken Dec. 2003 by David Aldred. The last remaining Knox location, as of 2014. Located in Forney, Texas. 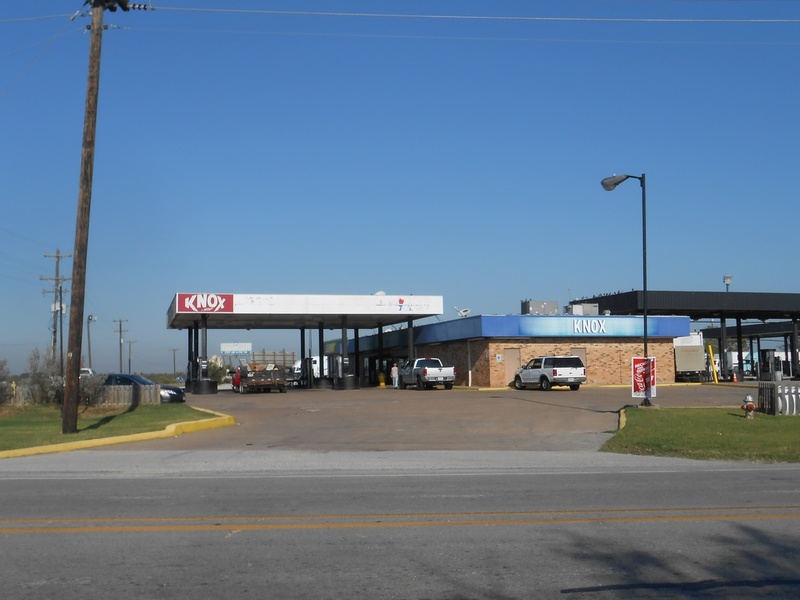 Precise location is US 80 and FM 460, a few miles east of I-635. Photo taken Oct. 20, 2014 by David Aldred. 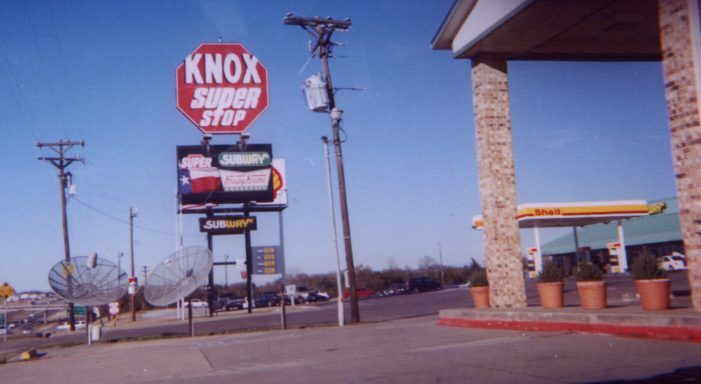 A second view of the last Knox location, located in Forney, Texas. 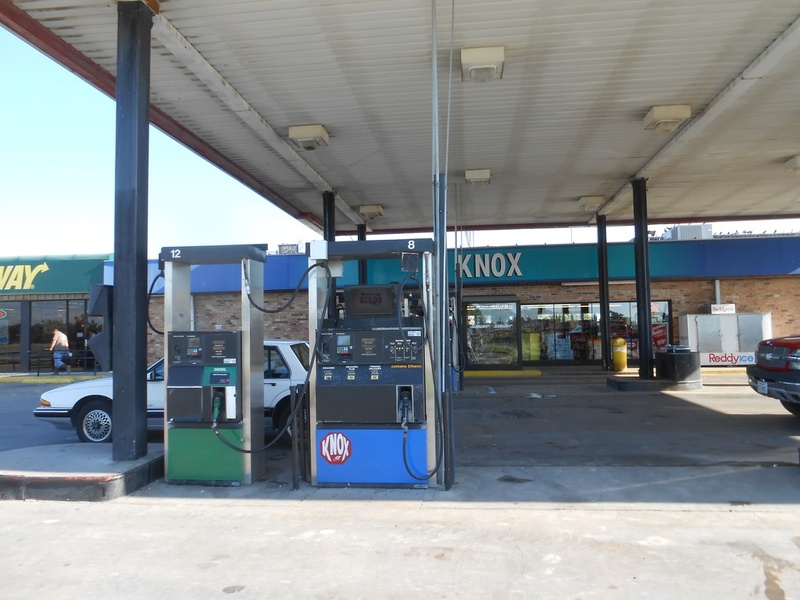 Our third and final photo of the last Knox location, in Forney, Texas. 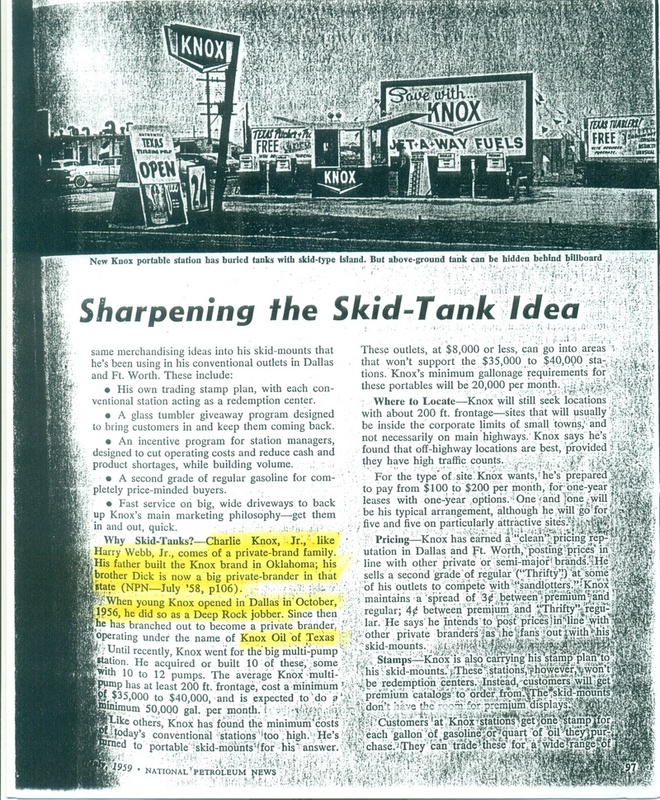 An article on Knox Oil from the July, 1959 National Petroleum News. Photo provided by Walt Wimer and forwarded by David Aldred. Thanks, guys!